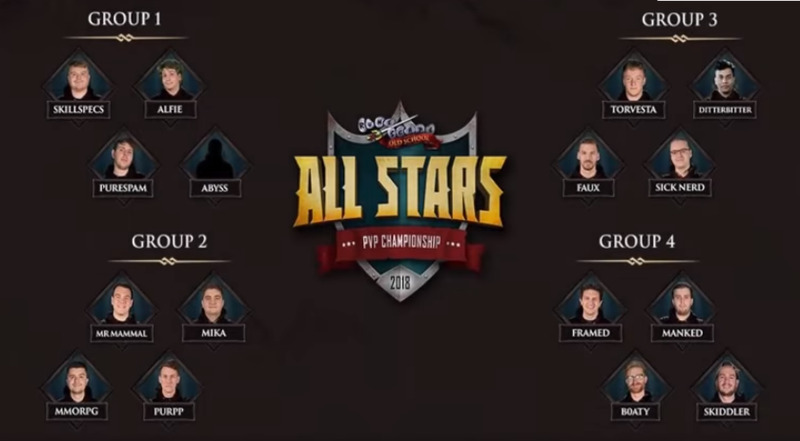 Rs2hot noticed that The Old School All Stars PvP Championship is coming, are you curious who the participants will be? Today we will share what we have known to all of you. The players will fight in a round robin format in groups of 4 before progressing to the knockout rounds. The members of 4 groups include Skillspecs, Alfie, Purespam, Abyss; Mr Mammal, Mika, Mmorpg, Purpp; Torvesta, Ditterbitter, Faux, Sick Nerd; Framed, Manked, B0aty, Skiddler. Rest assured, there will be upsets. There will be drama. There will be rivalry.But most of all, egos will be shattered.Right now you need to save the time and set a reminder on the twitch if you want to watch it then. Don't miss it! There have been 4 public Tournament worlds added in-game to celebrate this upcoming All Stars event, while 4 other ones are reserved for the participants to practice in privately. Actually, some players wonder why all new PvP content gears towards streamers. Anyway, this should be a brilliant PvP championship, and let’s enjoy it soon. If you want to purchase cheap OSRS gold, rs2hot is your best choice.